Toms River Regional Schools Supervisor of Special Education Helen Rupp (far left), TRRS Intermediate Math Supervisor Heather Pentifallo, and High School North student Zach Brown share a laugh in the robotics lab at High School East, where they gathered to celebrate news that the district has earned a grant to host an extensive three-year coding program. Full story below. 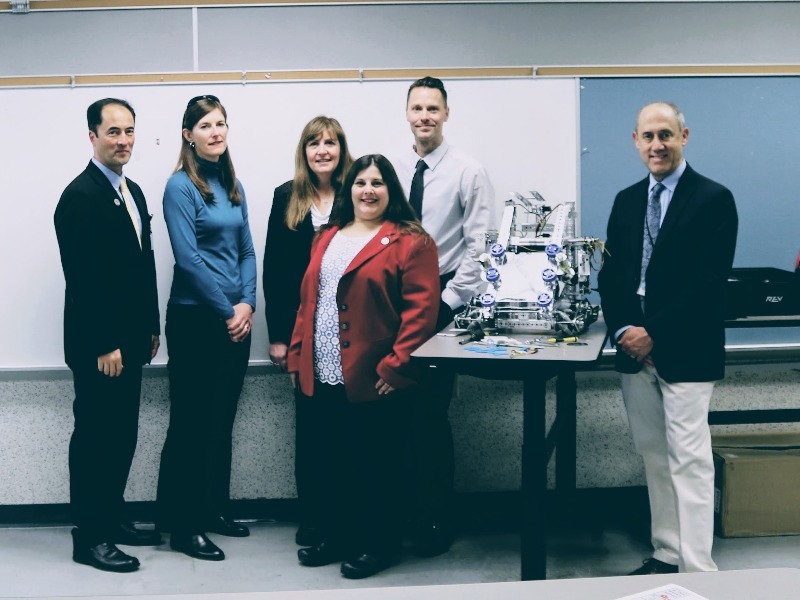 Wednesday, April 25, 2018-- After nearly two years of phone conferences, partner meetings, and multiple revisions, Toms River Regional Schools announces the award of a major grant from the Office of Naval Research (ONR). The grant provides more than $763,000 over three years. Funds will be used to rapidly advance the district’s plans to put computer programming applications at the core of many of its programs, beginning at the high school level. 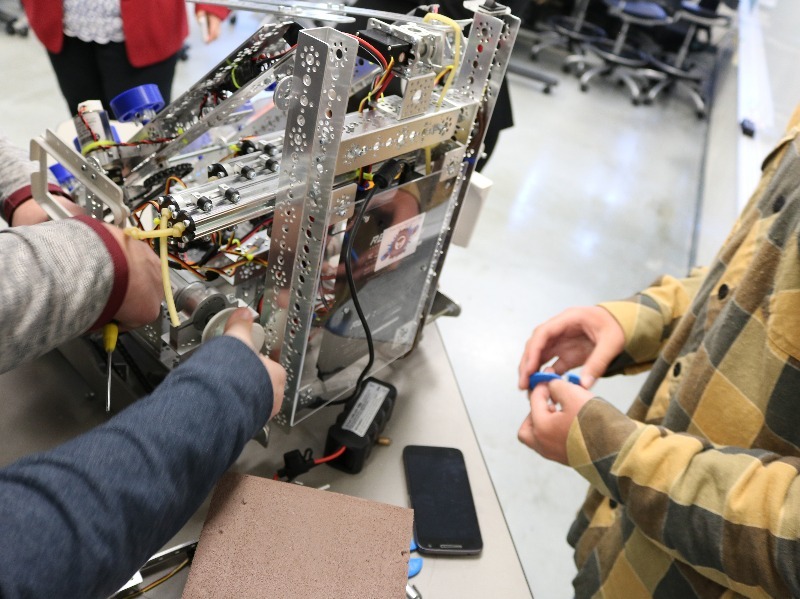 Dubbed TR:TechReady, the project reflects the Board of Education’s vision to make Toms River Regional schools beacons of innovation and crucibles of learning. The project will enable students to become better prepared for challenging careers and higher education opportunities, paving the way to productive and satisfying futures. Tom River is also an InnovateNJ district and was in the first cohort chosen last year by the NJ Department of Education, NJ School Boards Association, and NJIT for the new Future Ready Schools initiative, further indicators of its progressive programs and teaching staff. The 36-page application was largely written by Assistant Superintendent Dr. Marc Natanagara, with key support from Supervisor of Educational Technology Tiffany Lucey and Grant Writer Mike Kenny. 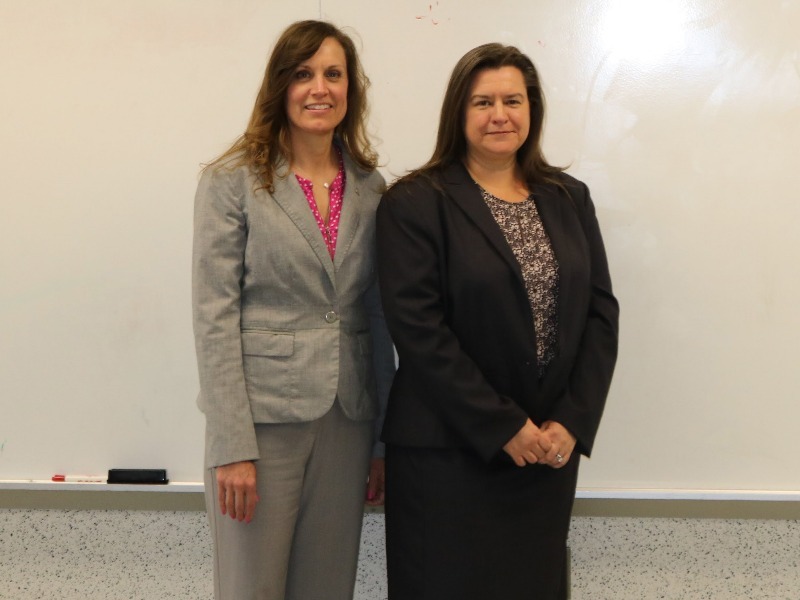 The plan is being implemented by a district team with diverse educational and grant experience that includes Secondary Curriculum Director Norma DeNoia; High School Science Supervisor Charles Evers; Intermediate Math Supervisor Heather Pentifallo; and teachers Suzanne Signorelli, Leslie Withstandley, Phillip Beachy, and Christine Girtain. Students will also have input on the developing plan. Over the last four years, the district has won nearly $1.5 million in other grants. Mr. Kenny, who joined the team last year with initial funding from the Jay and Linda Grunin Foundation, has had an increasingly important role in identifying grants aligning with the district’s mission, organizing staff to write and submit applications, and being the key contact point for grant providers. Though this is the largest single curricular grant the district has received, several others have had a major impact. Two years ago the Grunin Foundation supported projects in every one of the district’s schools to the tune of $185,000. Last year, the Hirair and Anna Hovnanian Foundation awarded $255k in support of Toms River Regional Schools’ new career academies. The district has also won funding from the NJDOE, NEA, DEP, OceanFirst, and Sustainable Jersey in the past four years, all of which have helped stem losses from reduced state aide and an ongoing recovery from the financial impact of Superstorm Sandy. Since 2013, during the Obama administration, a national “Computer Science for All” mission has inspired districts to add more computer programming opportunities through initiatives like code.org and Computer Science Education Week each December. 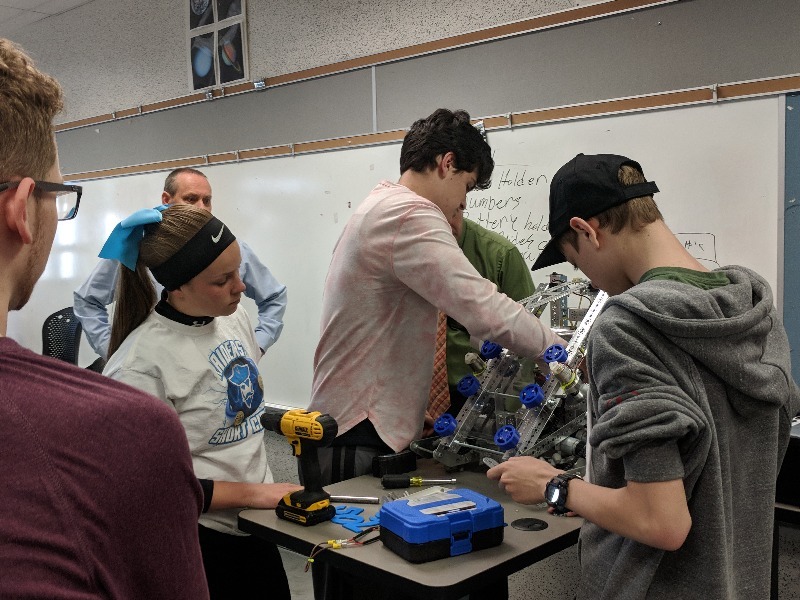 The ONR grant will help the district develop advanced programs, both curricular and extracurricular, on advanced coding and its applications, like robotics, testing, mixed reality, cyber security, and advanced manufacturing. It will also be used to train staff and upgrade spaces, materials, and tools to support coding courses and activities. In addition to the Toms River Regional team, ten community partners committed to support the original grant application. Chief among them was the United States Navy Naval Air Systems Command (NAVAIR), based in Lakehurst and already a partner with the schools on several other fronts. NAVAIR’s laboratories, specializing in radiometry, materials testing, reverse engineering, control systems, and artificial intelligence, will be critical proving grounds for the skills students develop through TechReady. Other partners include RWJBarnabas Health, Ocean County College, Rutgers University, Kean University, Yashi AdTech, Toms River Town Council and legislative representatives, the Grunin Foundation, Big Brothers, Big Sisters, Congressman Tom MacArthur, and the Boy Scouts of America. Their contributions include staff workshops, student internships, mentors, and events. Activities for staff and students are expected to begin this summer both at OCC’s campus in Toms River, at NAVAIR, and through Rutgers University. TechReady builds on existing initiatives in integrated hands-on approaches, authentic inquiry, and problem-based learning, pushing beyond STEM and STEAM. The program will augment high tech activities at the heart of the district’s new career academies in each of its three high schools, with applications across the curriculum in arts, business, medicine, engineering, and environmental studies. Integrated approaches and the introduction of coding are taking root in elementary classrooms, which will put pressure on programs at the district’s intermediate and high schools to be prepared for students with a much better knowledge and skills base in coming years. Students as young as pre-school have demonstrated an ability to understand computational thinking and coding logic, and developmentally appropriate activities are being designed at every level. Student activities and staff training will begin as early as this summer. Dawna Schultz, Director of In-district Initiatives at the Center for Mathematics, Science, and Computer Education at Rutgers University, began brainstorming programs with her team before the grant award was even confirmed. “Based on our past partnerships, we are excited to work with Dr. Natanagara and his team because we know they will make the program successful and take it where few others would,” Schultz said. Any organization interested in joining this community initiative is invited to contact the district to support its students and TechReady’s goals.More information will become available on the program’s website at http://www.trschools.com/curriculum/techready. For more information, contact Mike Kenny at mkenny@trschools.com or (732) 505-5500 x500053. 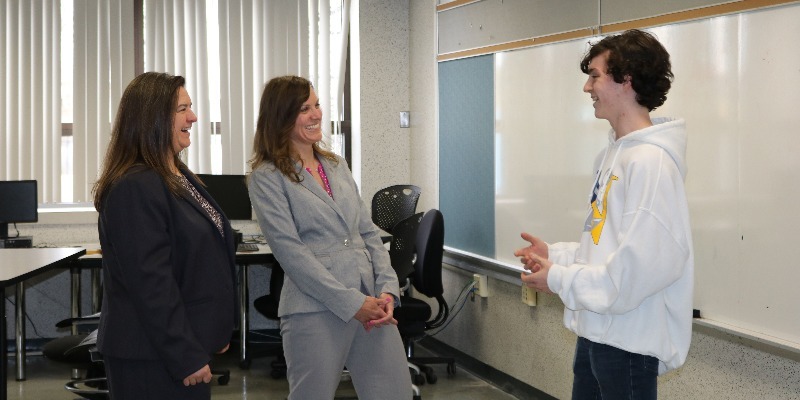 HSE Computer Science teacher Suzanne Signorelli has worked extensively on coding with students, particularly the Raiders ShortCircuits robotics team that she advises. From left to right: Dr. Marc Natanagara; Christine Girtain; Suzanne Signorelli; Tiffany Lucey; Mike Kenny; Phillip Beachy. The project team worked over the course of a year and a half to refine TR:TechReady and make it a funded program. Not pictured: From TRRS, Norma DeNoia, Charlie Evers, and Leslie Withstandley. From NAVAIR, Gaetan Mangano and Haidy Oliviera. From OCC, Paul Silberquit. Programming for robots is just one facet of coding that TR:TechReady will enhance. 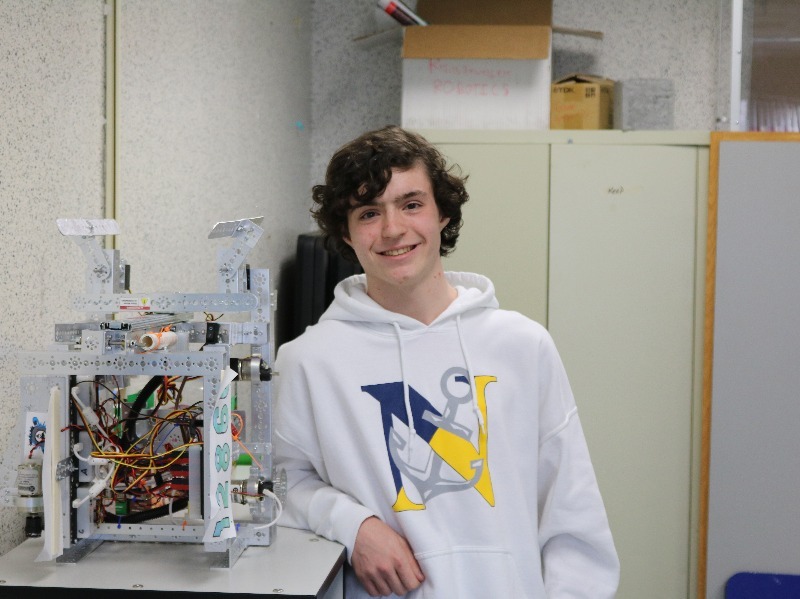 Zach Brown, a sophomore at High School North with a keen interest and involvement in computer programming, represents exactly the type of student targeted for TR:TechReady. Zach will also serve as a member of the program's implementation and advisory team. Intermediate Math Supervisor Heather Pentifallo stands with Supervisor of Special Education Helen Rupp. As a STEM workforce program, TR:TechReady will integrate math and statistics principles into coding, and the district seeks to include its special education population into the program. TR:TechReady seeks to increase participation in STEM clubs like robotics. Here, High School East's Raiders ShortCircuits can serve as a model program, as its members prepare their robot for the World Championships in Michigan.